All the religious, spiritual, cultural & social guidelines provided by our Gurus, Acharyas, Saints, Rishies and other great people in olden times are one or the other way based on logical reasons essentially required for the existence, surviving, growth and welfare of human being. It also aims at defining and ensuring proper social system so that a balance between natural powers & earthly environment may be kept intact for ever. It’s true that during Vaidic times our ancestors were greatly benefited by the advanced scientific boons prevailing during that period. Definitely science was at its peak and human being was well in a position to utilise and harness most of the cosmic energies in the manner he desired. Needless to say that Vaastu Shastra is also the knowledge of that time which speaks about the Panch Mahabhuta (five fundamental elements of body), building structure, components of human life, directions, placement & positioning of inmates etc. that can influence the formation, growth & development of Srishti, the nature. Varied combinations & permutations of above cited elements possess the power to define the comfort & agonies of mankind. Each principle provided by Vaastu is strongly backed by the scientific causes. The features, usage & advantages of cellular phones (present mode of communication) is quite similar to those being defined in Vaidic, Ramayan & Mahabharat times when one could speak to others staying too far, even across continents (Saat Samunder Paar). Similarly, aeroplane of those times was known as Udan Khatola. Likewise all the guidelines and vivid impacts of natural powers were explained through Vaastu Shastra, in its own terminology per se. Though old literature in Sanskrit language is the ocean of directives best suited to that period’s social needs but in present era, no much work on academic or laboratory level has taken place on our age old mystic sciences including Vaastu. Practitioners’ data, information and analysis are the only basis and major tools to explain the nature of negative or positive vibrations. Even there are less means available to detect the anti-Vaastu vibrations moving in and around critical areas like Pooja place, kitchen, study, living area or Bramha Sthan etc. So far as the human being is concerned, most of the times he finds himself helpless to show or prove the different supportive or antagonist effects of negativities on the inmates living in the abode, looking after a business premises or working in an industrial Organisation. The more easy way to understand the human’s incapability to sensor the super sensitive and ultra minute natural powers can be seen in locating directions in absence of sun, however a small compass is always capable of indicating directions without any complication. Now this is hightime to explore the best means including instruments and tools so that we can have exact and proper data to analyse on different grounds because this may bless to entire humanity with abandoned cosmic energies to keep one’s life up. I am sure that we can bring the curiosities to factual position if we can be there in a science laboratory equipped with all the required instruments because all the factors rest on scientific grounds. 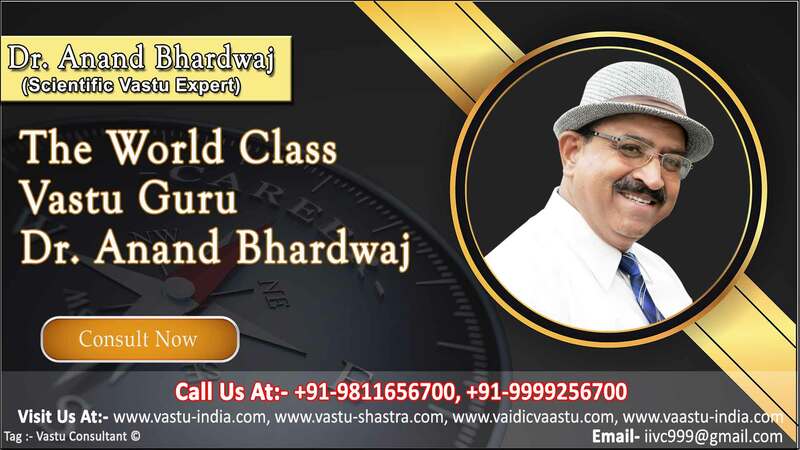 Vastu Consultant in Delhi, Vastu Consultants in Gurgaon, Vastu in Apartment, Best vastu adviser for flat, Vastu Consultant in Gurgaon, Vastu Experts in Delhi, Best Vastu consultant in Gurgaon, Vastu Consultant in Ghaziabad, Best Vastu Profession, Al In Gurgaon, Vastu consultant in Noida, Top Vastu Consultant in, Vastu consultants in Gurgaon, Best Vastu in Gurgaon, Vastu consultant in greater Noida, Best vastu consultant, Vastu Consultant in Ghaziabad, Best Vastu Consultant in Delhi, Top Vastu Consultant in Noida, Best Vastu Consultant in Ghaziabad, Vastu Consultant in Delhi, Best Vastu adviser in Gurgaon, Best Vastu Institute in Delhi, Best Vastu Institute in Gurgaon, Vastu Classes in Delhi, Vastu Course in Delhi, Online Vastu Courses, Vastu Consultant in Faridabad, best paranormal expert, Top Vastu professional in Delhi, Vastu expert in Delhi, Paranormal Consultants in Delhi, Best Vastu Consultant in Gurgaon, Vastu consultant in Pune, Paranormal Energy consultants, Top Vastu Adviser in Gurgaon, Vastu consultant in India, Vastu advisers in Delhi, Vastu for factory, Best Vastu Consultant in Faridabad, Vastu consultant in Gurgaon, Vastu Consultants in Noida, Top VastU Consultant in Gurgaon, Best Vastu in Manesar, Vastu Consultant in greater Noida, Vastu Consultant in delhi, Vastu expert in delhi, Vastu For Home, Vastu For staircase, Best Vastu Consultancy in Gurgaon, Best Vastu Institute in Delhi, Best Vastu Institute in Gurgaon, Vastu Classes in Delhi, Vastu Course in Delhi, Online Vastu Courses, Top Vastu consultants in Gurgaon, Vastu consultant in Manesar, Best Vastu adviser in Manesar, Vastu For Students, Vastu For study, Best Vastu Consultancy Service in Gurgaon, Customised Vastu Advice, Vastu consultant for home, Vastu consultants in Gurgaon, Vastu services in delhi, Vastu Consultants in Delhi, Vastu expert in Gurgaon, Vastu in hindi, Vastu Shastra Consultants in Noida, Vastu for stairs, Best Vastu Experts in Delhi, Vastu experts in gurugram, Vastu services in Gurgaon, Top vastu expert. All the religious, spiritual, cultural & social guidelines provided by our Gurus, Acharyas, Saints, Rishies and other great people in olden times are one or the other way based on logical reasons essentially required for the existence, surviving, growth and welfare of human being. It also aims at defining and ensuring proper social system so that a balance between natural powers & earthly environment may be kept intact for ever.